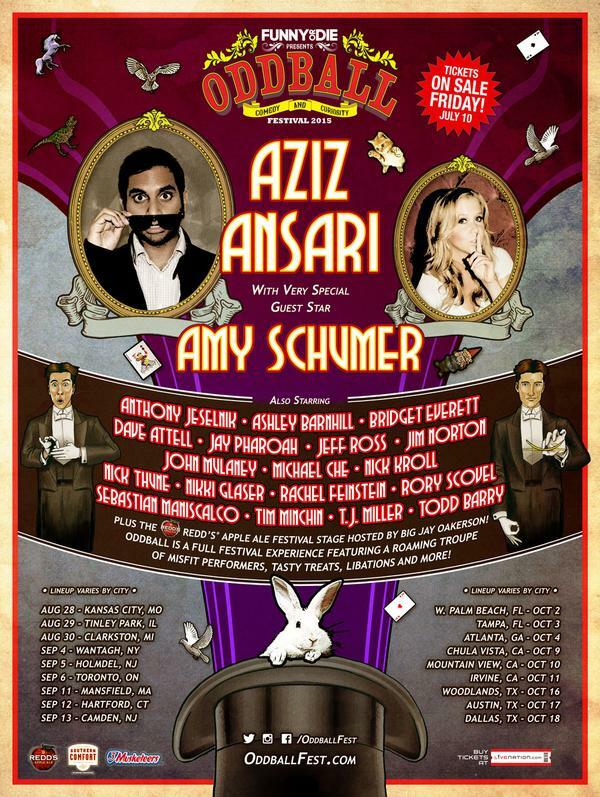 Comedy Of Chicago: Aziz blows up Zanies + The Oddball Fest Lineup! 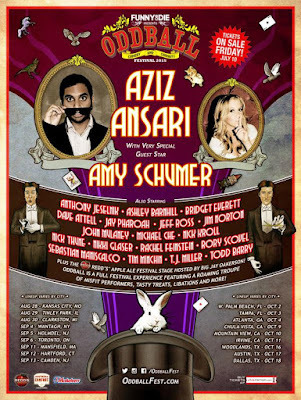 Aziz blows up Zanies + The Oddball Fest Lineup! Aziz Ansari, one of the worlds biggest stars of stand-up comedy, blew the doors off ZANIES last thursday night with an surprisingly intimate yet inspired performance. The unexpected Thursday night booking, announced late Wednesday on social media, sold out all three shows in less then 12 hours and definitely had the feel of a exclusive pop-up show. Aziz , who is one of the few comedians to ever to sell out Madison Square Garden was on FIRE. Quick witted, sharp as a tack with attitude to match and pumped up like a freshman on spring break. Aziz owned the stage, turning in a super tight 25 minutes of grade A, side splitting material. The audience was on board and in Aziz's control from jump street. The air inside Zanies (Chicago's oldest and most iconic comedy clubs) was electric. Big comedy stars choosing smaller venues to tighten material is not uncommon and this last-minute booking was in all probability, a really smart way for Aziz to work new show material for the upcoming and highly anticipated Oddball Comedy and Curiosity Festival. Head over to the Oddball Fest website for full lineups and ticket info.